Continuing with its stated goal of giving gamers what they’ve been asking for, Microsoft announced today that the Xbox One’s June system update will add functionality for external storage support and real names for friend identification. Once the update arrives, Xbox One consoles will support up to two external USB 3.0 hard drives, provided the drives are at least 256 GB in size. This move will allow users to increase their storage space from the standard 500 GB available on the console’s internal drive. After plugging in a compatible drive, players will be asked if they wish to format it and given the option to make it the default device. In addition to storing more Xbox One content simultaneously, external drive support will give gamers the ability to drop full games, downloadable content and apps onto external drives and take said drives on the go for usage on a friend’s console. Content can either be saved directly to external drives or copied over to them from the internal one. Digital content stored on external HDDs can be accessed on other consoles once the user has signed into Xbox Live. For retail games, the disc will have to be inserted in order to verify ownership. Speaking of friends, real name support is aimed at making it easier for users to immediately identify who is who on their friends lists as those lists continue to grow up to 1,000 names in length. Microsoft is cognizant of the privacy concerns this move could potentially raise. The console holder will give each gamer the ability to choose whether all friends, some friends or no friends see their real name. Settings can be changed at any time and real names will not appear in-game. Microsoft originally planned to support real name usage on launch day but ended up delaying the feature. Competitor Sony has supported actual names since launch on its PlayStation 4 console. 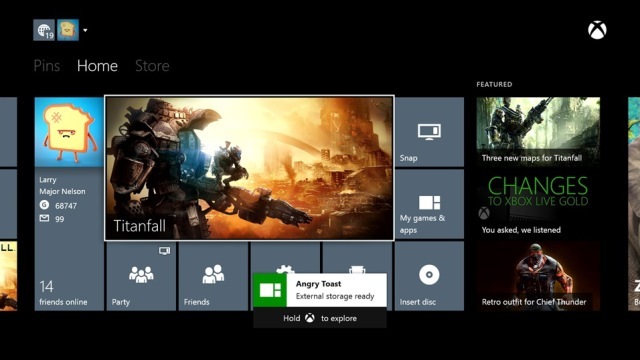 Later tonight at 8pm ET, Microsoft will release a system update for the Xbox One. This is the first required update post launch of the Xbox One. From playing games, to watching movies, to listening to music, Microsoft’s all-in-one companion application, Xbox SmartGlass, continues to build a hefty catalog of ways to interact with your Xbox 360. For anyone still in the dark about inviting SmartGlass into their holy trinity of media consumption, or aren’t familiar with what exactly it does, there’s a light at the end of the tunnel. His name’s Peter Orullian. 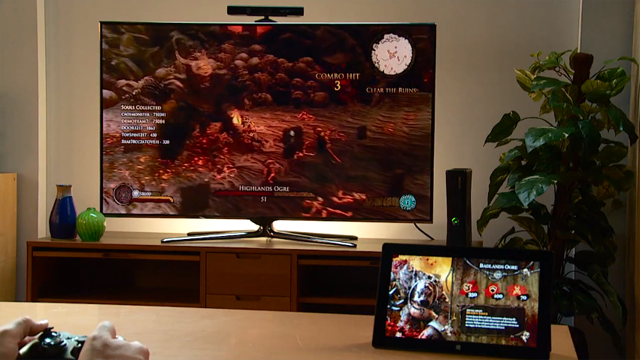 But first, what is Xbox SmartGlass? Consider SmartGlass the very best parts of a friendship without having to subscribe to that nagging social courtesy of considering their feelings. Too lazy to get up and grab your Xbox remote? No problem, SmartGlass loves being a remote. Need a quick tip about the game you’re playing? SmartGlass will show you in real time, and won’t ask to play or tell you what you’re doing wrong. Actually, consider Xbox SmartGlass to be like your personal virtual servant; a media genie that only likes what you like and never pesters you about freedom, or lamps. In a series of tutorial videos released yesterday, Xbox SmartGlass Product Manager Peter Orullian has outlined the many possible ways you can enhance any experience with the SmartGlass application, including our favorite, Xbox Live Arcade. Giving us the first information on how we can expect to utilize SmartGlass with Signal Studios’ upcoming action-RPG Ascend: New Gods, Orullian demonstrates the newly unveiled Ascend: Oracle of the New Gods, which acts as an interactive compendium, realtime dungeon map and stat tracker. All this while showing off some much appreciated gameplay footage. Check out the video after the jump. The Xbox Community Ambassadors program is expanding. Ambassadors are regular community members who provide community support in exchange for some cool gifts, the higher end of which includes XBLA games. Are you knowledgeable? Apply today. The Verge reports that the ESPN Xbox Live app will be getting SmartGlass support some time this month. PlayXBLA revealed one of the new gods in Ascend: New Gods, the Titan. See a screenshot after the jump. SmartGlass is now available for your iPhone or iPad–that is if you’re trendy lucky enough to have one. Pick it up here. Xbox Live apps Rhapsody, Blip.TV, LOVEFiLM Deutschland, RTL XL, and TOU.TV recently launched in their respective regions, and the IGN app is now available in Canada. For full descriptions, hit the jump. The Blinding of Isaac is coming to consoles. Super Meat Boy‘s Edmund McMillen announced the information via his blog earlier this month. No word yet if that includes the Xbox 360 and XBLA. Happy Wars has been updated with additional weapons, including a mailbox and a winged staff. No word on whether these are free or microtransactional. Another week of Xbox Live Arcade is in the books. This one’s been all over the map, celebrating the 10-year anniversary of a service that brings us all together. With so much happening on this platform of ours, it’s easy to lose sight of just how good we have it. If it weren’t for Xbox Live, none of us would be here, so XBLA Fans wants to know, what’s your favorite memory from the past ten years of Xbox Live gaming? Let us know in the comments and Happy Birthday, Xbox Live! Pumped for the World Series? When you’re not too busy watching the professionals play, Home Run Stars can make you an all-star hitter. Using the Kinect, have your avatar step up to the plate and play through League mode. Three unique stadiums await, each with their own variety of targets which will help you rack up big points. Compete with your friends online through the leaderboards or 2-player multiplayer. 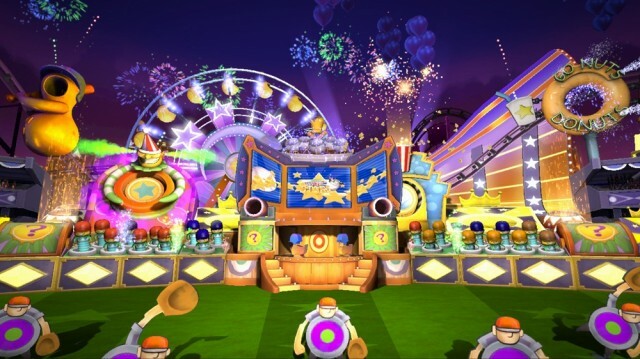 Besides being the next game to include Avatar Famestar, Home Run Stars will be the first XBLA game to have SmartGlass integration. The Duel mode lets two players play locally, one as the hitter and the other the pitcher, without the advantages of screen-peeking. Home Run Stars drops October 26.